This may be old hat to you, but I recently became totally smitten with the linkable notebooks created by StartHere. 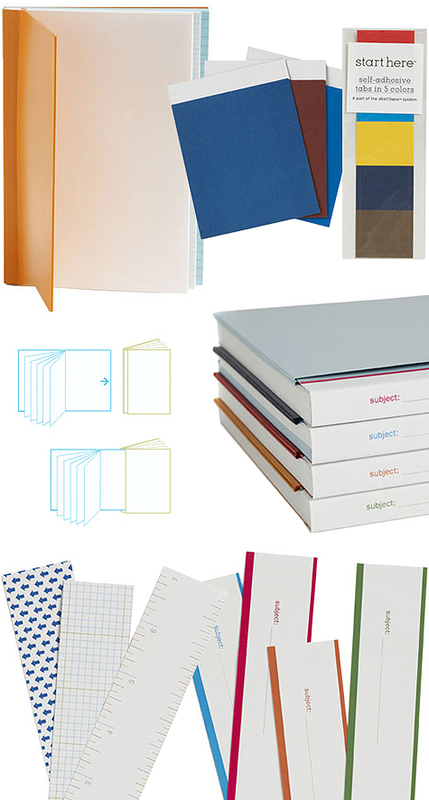 Not only do they produce handy notebooks - my favourite being the 3 level notebook with blank, graph and lined paper - but the notebooks are linkable! Each notebook has an exterior front pocket that houses the rear flap of another notebook. Accessorize with spine binders, sticky tabs and interior pockets and you have yourself an incredible little library of thoughts, doodles and notes.